Remember there is no gondola, cable car, telecabin or chair lift in this resort, so you should ascend on feet or on ski. Mt Damavand ski, snowboard, hiking & trekking and climbing tours . Ski touring and snowboarding tours Tehran. Guided adventure downhill ski tours. Mount Damavand Guide. Ski mountaineering guides. Due to its great height and easy accessibility from Tehran, Damavand has become a popular destination for hiking trekking and climbing. Also in recent years it is growing its popularity for ski mountaineering and snowboarding too. In a good winter with a reasonable snowfall, it is possible to do Damavand Ski Touring and ski downhill about 12000 meters on mild skiable slopes. It is one of the logest off-piste ski resort in the world. Dependending to the amount of snowfall in the area, Damavand Ski Season for ski mountaineering and snowboarding on is from November till mid May. The amount of snow is different each year, it is recommended to check the snow condition before you fix your programme and set out to the area and begin your expedition. Remember Damavand Weather Forecast could change to disastrous in winter, with strong winds up to 100km/h and freezing temprature reaching -60°C at the summit , you must be well-experienced for such a difficult climb or ski mountaineering expeditions in harsh climate, and further more remember that rescue and medical facilities are not available in case of injury and emergency you need a good luck for surviving, so extra care should be taken for climbing in winter and it is done by your own risk. In bad weather and stormy situation, poor visibility or darkness, it is not safe to go to the area without a reliable navigation unit like a handheld GPS receiver. Damavand Ski- und Snowboard-Reiseveranstalter. Berg Damawand Trekking und Klettertouren. Iran Skitouren und Snowboarden Tour. Geführte Abenteuer Downhill Skitouren. Damavand Guide. Teheran Skitourenführer. Iran Langlauf Skitouren. Iran Skitour Informationszentrum. Skitour Alborz und Zagross Ranges. Dizin zu Darbandsar abseits der Piste Skitour. Demavand Free Style Skitour. Iran Free Style Ski und Snowboard Touren. Alborz Mountains Wintersportaktivitäten. Skitour in den Iran Skigebiete. Downhill-Abenteuer Ski-Expedition Reiseveranstalter. Visit also Damavand Tour, Damavand Economy Tour. 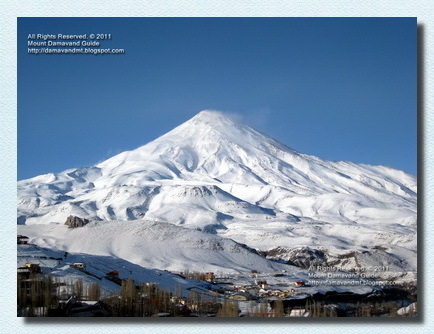 Damavand ski and snowboard tour operator. Mount Damawand trekking and climbing tours. Iran ski touring and snowboarding tour. Guided adventure downhill ski touring. Mount Damavand Guide. Tehran ski mountaineering guides. Iran cross country ski touring. Iran ski tour information centre. Ski mountaineering tour Alborz and Zagross Ranges. Dizin to Darbandsar off piste skitour. Demavand Free Style Skitour. Iran Free Style Skiing and Snowboarding Tours. Alborz Mountains winter sport activities. Skitour to Iran Ski Resorts. Downhill adventure ski expedition tour operator. Damavand esquí y operador turístico snowboard. Monte Damawand trekking y escalada tours. Esquí de Irán y gira el snowboard. Aventura guiada cuesta abajo esquí de montaña. Guía Damavand Monte. Teherán guías esquí alpinismo. Irán cruzar esquí de país. Centro de información turística de esquí Irán. Tour de esquí de montaña Alborz y Zagross Ranges. Dizin a Darbandsar fuera Skitour pista. Demavand Free Style Skitour. Irán estilo libre de esquí y snowboard Tours. Montañas Alborz actividades deportivas de invierno. Skitour a Irán de centros de esquí. Esquí alpino aventura turoperador expedición. Damavand ski et tour-opérateur de snowboard. Mont Damawand randonnée et d'escalade. Iran ski de randonnée et la visite de la planche à neige. Aventure guidée descente de ski de randonnée. Guide de Mont Damavand. Téhéran guides de ski alpinisme. Iran Cross Country ski de randonnée. Iran Tour de ski centre d'information. Tour de ski alpinisme Alborz et Zagross gammes. Dizin à Darbandsar hors piste skitour. Demavand style Skitour gratuit. Iran style ski libre et Snowboard Tours. Alborz Mountains activités de sports d'hiver. Skitour d'Iran stations de ski. Descente aventure Ski Tour de l'expédition opérateur. Damavand sci e snowboard tour operator. Mount Damawand il trekking e arrampicate. Sci alpinismo Iran e giro snowboard. Avventura guidata discesa sci alpinismo. Mount Damavand Guide. Teheran guide sci alpinismo. Iran sci di fondo touring. Iran Centro informazioni sul tour sciistico. Tour Sci alpinismo Alborz e Zagross Ranges. Dizin a Darbandsar fuori pista Skitour. Demavand Style Skitour gratuito. Iran Free Style Sci e Snowboard Tours. Alborz Mountains attività sportive invernali. Skitour a Iran stazioni sciistiche. Downhill avventura Ski Tour operator spedizione. Damavand ski og snowboard turoperatør. Mount Damawand trekking og klatreturer. Iran skiturer og snowboard tur. Guidet eventyr downhill ski touring. Mount Damavand. Tehran ski fjellklatring guider. Iran langrenn ski touring. Iran skitur informasjonssenter. Ski fjellklatring tur Alborz og Zagross Ranges. Dizin å Darbandsar off piste skitur. Demavand Free Style Skitour. Iran Free Style Ski og Snowboard Tours. Alborz Mountains vintersportsaktiviteter. Skitur til Iran Ski Resorts. Downhill eventyr ski ekspedisjon turoperatør. Damavand лыж и сноубордов туроператор. Гора Damawand походов и восхождений. Иран лыжного туризма и сноуборд тур. Руководствуясь приключение горнолыжный туризм. Mount Руководство Damavand. Тегеран направляющие Альпинизм. Иран Беговые лыжные прогулки. Иран лыжный тур информационный центр. Лыжный поход альпинизм Alborz и Zagross диапазонах. Dizin в Darbandsar вне трасс Скитур. Demavand Свободный стиль Скитур. Иран Free Style Катание на лыжах и сноуборде туры. Эльбрус Горы зимой спортивные мероприятия. Скитур в Иран горнолыжных курортов. Горные приключения лыжные экспедиции туроператор. Damavand lyzh i snoubordov turoperator . Gora Damawand pokhodov i voskhozhdeniy . Iran lyzhnogo turizma i snoubord tur . Rukovodstvuyas' priklyucheniye gornolyzhnyy turizm . Mount Rukovodstvo Damavand . Tegeran napravlyayushchiye Al'pinizm . Iran Begovyye lyzhnyye progulki . Iran lyzhnyy tur informatsionnyy tsentr . Lyzhnyy pokhod al'pinizm Alborz i Zagross diapazonakh. Dizin v Darbandsar vne trass Skitur . Demavand Svobodnyy stil' Skitur . Iran Free Style Kataniye na lyzhakh i snouborde tury . El'brus Gory ​​zimoy sportivnyye meropriyatiya . Skitur v Iran gornolyzhnykh kurortov. Gornyye priklyucheniya lyzhnyye ekspeditsii turoperator .